Most heat pumps output water at a lower flow temperature than a gas or oil boiler. As the flow temperature around the heating circuit is lower when using a heat pump than a boiler, the surface area of the heat emitter needs to be larger in order to output the same amount of heat. At HeatPumps4Homes, we can advise on the best option for the heat emitters to use in your property. 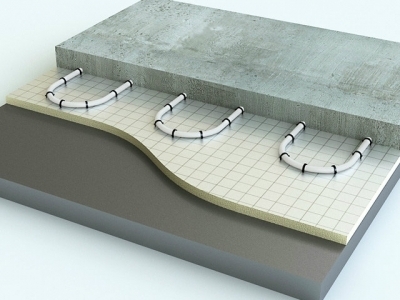 Underfloor heating is the best option when using a heat pump if it is possible to fit underfloor heating. 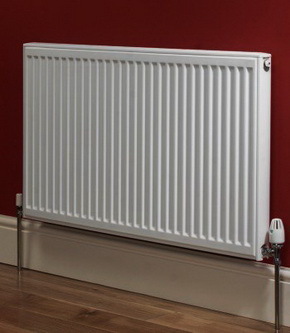 Traditional radiators can be used with heat pumps. However as mentioned above, because the flow temperature of the water will be lower (typically 45c) when using a heat pump, the radiators will need to be larger or double/triple panel. Smart radiators contain a small fan which blows the warm air into the room. Smart radiators are very well suited to use with heat pumps as they can be a more compact size than traditional radiators. They are very quiet in operation and can have a time clock in each one which can be programmed to turn them on and off at set times. As smart radiators use electrical power to opertate, they cannot be used in bathrooms in line with electrical safety regulations. At HeatPumps4Homes, we will take the trouble to discuss and review the best heat emitters for your property.